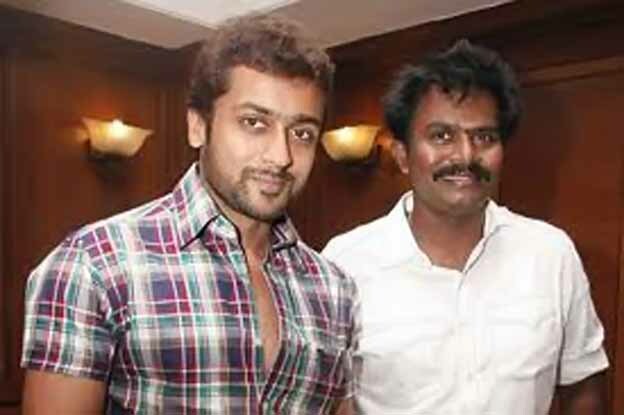 Who is Suriya’s heroine in Hari film? Actor Vijay is distributing relief material to Thane cyclone affected Pudhucherry people today. Vijay's Shankar directed Nanban is getting full tax exemption for its clean and quality content. 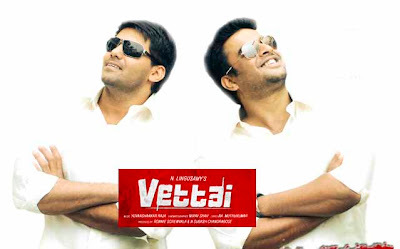 It is the first film to get the benefit under a new scheme introduced by the Jayalalithaa government. Sun Pictures who seems to stay quiet for a long time with no release in hand will make their strong comeback says sources. The recent issues with Sun Pictures has kept them to maintain a low profile, now it's heard that the team has grabbed Dhanush's '3' movie. Sun Pictures who are well known for their attractive promotions has telecasted the audio launch of '3' movie recently. But sources say that they will be releasing the film also in a grand manner. '3' is directed by Aishwarya R Dhanush with Shruti Hassan and Dhanush in the lead roles. The film is expected for a February release. Director Shankar's next mega venture will be produced by AGS Entertainment. Now the news is that Chiyaan Vikram will play the lead role in the untitled film. This is going to be the most expected film since this Mega combo striked the Tamil audience with Blockbuster 'Anniyan' in 2005. Sources say that Shankar is ready with a fresh script, he felt that Vikram only will fit the role with ease. So soon official announcements are expected. It's become a fashion in Tamil to throw in names like Katrina, Deepika, Sonam or Kareena when a big film is announced. The media goes overboard and churns out speculative news that these A-listers from Bollywood are going to be the heroine to our larger-than-life heroes in mass action films. Recently Soundarya Rajinikanth said that Katrina may sign Kochadiyaan opposite Rajinikanth. Earlier Deepika was supposed to be superstar's heroine in Rana, which never took off. Now the latest news doing the rounds is that Sonam has been signed to be Suriya's heroine in Hari directed film. There are also reports that it's not Sonam but the hot 'n' happening Anushka who has bagged the role as Hari wants to repeat the Singam magic. Remember that Sonam was in the news lately for supposedly being signed up for Mani Ratnam's Pookadai but later it was confirmed that Samantha is the heroine. The official remake of the blockbuster Three Idiots is here! We wondered, when lesser blockbusters were being remade, why this cracker of a story was not finding its way down south. But, all good things take some time in the making and it is somehow fitting that a tale loved by most part of the nation, first in the form of Chetan Bhagath's 'Five Point Someone' and then in the form of Rajkumar Hirani's Three Idiots, is brought down south by Shankar, the man with the Midas touch. Well, there are very few people who might not yet know the basic premise of the movie; thanks mostly to the overwhelming success of the book and the original movie. Its about three friends, the four years they spend in college with one of them trying to be a free bird in a system that clips wings, their run ins with a draconian educationist, a cute romance angle and a secret. Well, that's a lot on the plate of a single movie, you might think. But, the script is one masterpiece, originally by Rajkumar Hirani and Vidhu Vinodh Chopra, as it brings together all these elements into a fun filled, hilarious, touching, meaningful and immensely entertaining three hours. You get everything that you would want to from a college movie; the camaraderie that you cherish forever, the pressure of academics, marks, the fun and even the geeks and nerds. Nanban is not a full length comedy, but there are numerous instances which will make your belly ache with laughter (the 'karpazhippu' scene is an absolute scream); neither is Nanban a love story, but it does have a very likeable romance; Nanban is also not a social statement, but it does point out some gaping holes in the educational system. Well then, what is Nanban? Well, it is a complete package for those who love good, clean, sensible entertainment (that means all of us!). Nanban marks the return of Shankar to a youth oriented film after Boys, that was eight years back. It also marks the return of Vijay to a completely youth centric college goer role. And boy, haven't they gone all out to make it a success. We don't see Vijay in the movie, it is only Panchavan Parivendhar! He has given himself completely to the role, surrendering to the demands of the script. For an actor who has played the 'carefree guy who loathes books' stereotype almost all his career, this is one role that offers a diametric opposite. Vijay takes it on and proves his versatility. The years have not dimmed his boyish charm and energy, you don't doubt for a second whether he is a college student; an almost perfect performance. Jiiva brings in his own charms to the movie, as the God fearing guy who just wants to get through college and start earning but is far too apprehensive and distracted. We have seen his comic timing before; he uses it beautifully here too, and scores with the sentiments as well. You just have to watch him start the 'induction motor'! Srikanth, the dark horse! Well, he holds up well with the more seasoned performers and when he gets a chance, he proves his mettle in the quite emotional scene with his father. A very well balanced act! What can we say about Ileana? Where was she for almost 5 years after Kedi? Never mind, because she is back with a bang. A very impressive performance which uses glamour only as an embellishment, not main item itself. She shows no difficulty with Tamil, displays quite a crackling chemistry with Vijay, emotes well and dances with élan. We could see more of her in Tamil cinema very soon. But, the big surprise packet of the whole affair is none other than Sathyaraj. As the hard nosed principal of an engineering college who wants to treat everyone as a machine, he excels and proves that class and experience is a combination that cannot be bogged down for long. His dialogue delivery is absolutely spot on. Sathyan gets a huge opportunity and doesn't let it go as he makes the nerdy 'Silencer' memorable in Tamil too; he carries off the utterly important 'karpazhippu' scene perfectly. Hope he gets more fitting opportunities in the future. S.J.Suryah's cameo is also good. The best thing about Nanban is its casting! Shankar has put in a lot of thought and roped in just the right actors for each and every role. Even the smallest of characters seem to have been hand picked, the results show. Dialogues by Shankar and Madhan Karky are sharp, witty, funny and meaningful as different occasions demand. They have imported the meaning of the original Hindi lines without making the Tamil look artificial, a very deft job. Harris Jeyaraj brings in his musical touch, we enjoy 'Asku Laska'. Manoj Paramahamsa makes every frame pleasing on the eye, the work in 'Asku Laska' is particularly good. You really have to be a hard nosed person to find faults with this movie, much like Sathyaraj's character. But, one could say that the crash course in child delivery atop a TT table is a bit difficult to believe! And, one also cannot understand a student of an engineering college in Tamil Nadu wearing a very north Indian sherwani for his college speech. Also, why is Virumandi Santhanam's daughter's marriage looking so much like a north Indian affair with turbans and all? Perhaps Shankar could have changed these from Three Idiots. But, again, these are minute flaws in an otherwise top class product. Nanban has got more than something for everyone. It is very unlikely that a person finds such a wholesome package unsatisfying. Yes, Vijay does not show any heroism; he gives it all up for the integrity of the script. But, fans, don't be disheartened, because what you get it lieu more than makes up for it. The only way you can detract from the achievement of this team is through the fact that the movie almost looks like a frame by frame remake of Three Idiots, especially in the first half. Do we need a creative genius like Shankar to give us a frame by frame remake? We see his signature only in the song picturisation. But, look at it this way. The original was so good that even a genius like Shankar hardly felt like making any changes. So, lets applaud Shankar for trusting the original and resisting the temptations to give his own touches. Also, let us not forget to applaud the makers of the original, Rajkumar Hirani and Vidhu Vinodh Chopra, for building a script that would work anywhere in India. If you haven't seen Three Idiots, Nanban will be an absolutely joyful experience. And if you have seen it, still go for Nanban and relive the magic; it's worth it. Verdict: All is absolutely well!